Osteoporosis is a reduction in quality and density of bone; and it’s more common in men than you might think. 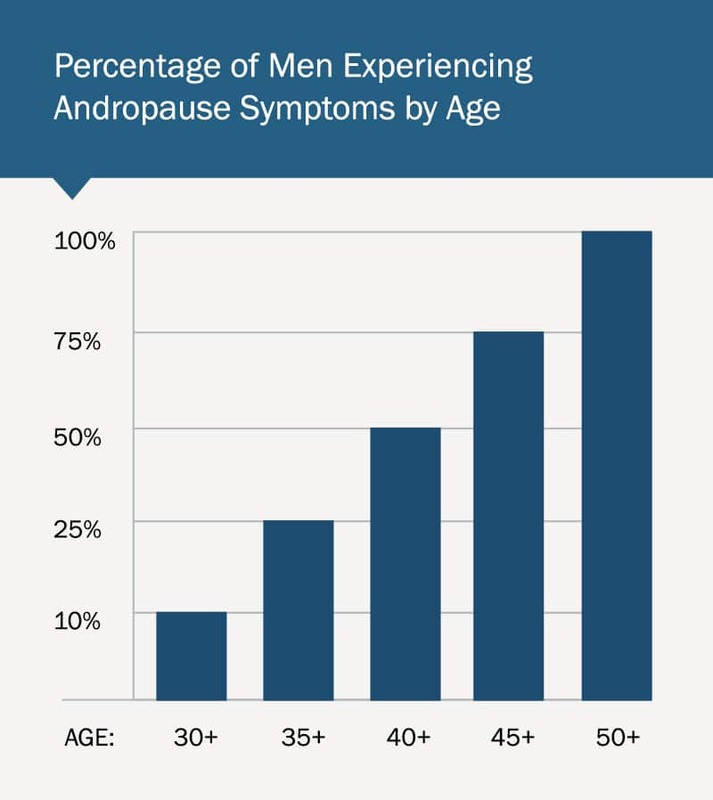 During andropause, men lose bone density in the spine at a rate 4 times greater than in the rest of the body. They can actually lose height as a consequence, or develop a hump in the shoulders and back. And bone loss puts men at a high risk for bone fractures throughout the body. Osteoporosis affects approximately 3 million American men, with an estimated 14 million being at risk for having early signs of bone loss—a condition known as osteopenia. Testosterone is the hormone primarily responsible for bone density. In fact, it’s because men have more testosterone than women that they’re less likely to suffer from osteoporosis. Osteoporosis does occur in men, however, because as men age, testosterone diminishes. While men should not have too much estrogen, it is important that they have some estrogen, as a small amount of estrogen promotes healthy bone growth. Stress and the stress hormone cortisol also play a significant role in bone loss. Excess cortisol robs the body of nutrients, particularly vitamin D and calcium—two nutrients vital to healthy bone density. Bones need mechanical stress to stay healthy, and bones that aren’t used will atrophy. Physical activity also promotes the metabolization of vitamin D and calcium. Our doctors optimize testosterone, and keep estrogen within a healthy range. We encourage our clients to get plenty of weight-bearing exercise, maintain a healthy diet, and supplement Vitamin D and calcium as needed. Our doctors provide treatment for elevated cortisol if appropriate. Better aging requires healthy bones. Don’t take yours for granted. Together we can make sure your bones have the hormones and nutrients they need to stay strong for the long haul.